Design is a high priority to Mazda—its KODO Soul of Motion design language has made Mazda vehicles some of the most recognizable on the road today. This new design features an open concept floor plan that offers greater business transparency, and updated materials to create a more open and upscale workspace. On the interior, the new dealership design makes use of wood and metal in the showroom, as well as larger amounts of glass to allow customers a better view of the dealership’s operations. In addition, digital displays will provide continuous motion and a new Mazda Lounge will provide technological features like free Wifi and multi-device charging stations. This model of building design will come in three tiers based on the same philosophy, and was created to replace the former Mazda design scheme, called “Retail Revolution,” which was designed 12 years ago. 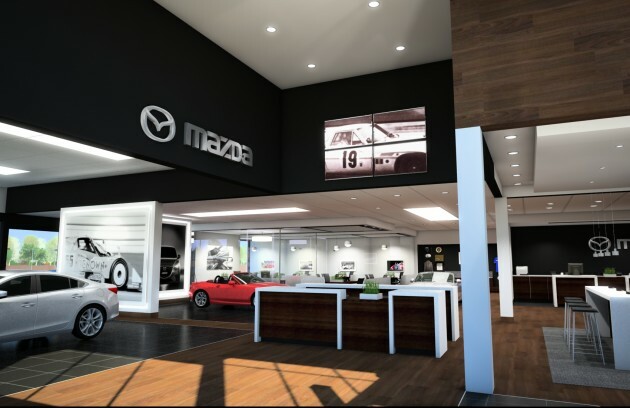 Mazda customers in Seattle, Washington can enjoy the new design at the first dealership to be built from the ground up with the new design language, Mazda of Everett.